Club Penguin Neighborhood: The First Club Penguin GameShow: New Neighborhood Survival Wallpaper! This wallpaper is great! I like it a lot. I think this will actually be a great group so good luck everyone! Hey! Well I can't promise you that I will add an extra player in sometime during the season, the idea is always still there. Like I said there's going to be a lot of twists and turns coming up this season, so stay tuned! why is molly222 in it? im still a fill-in, right? Just wondering, because, ehh, i dont really have a reason, but when i find one, i will find you! Well that's a frequently asked question! 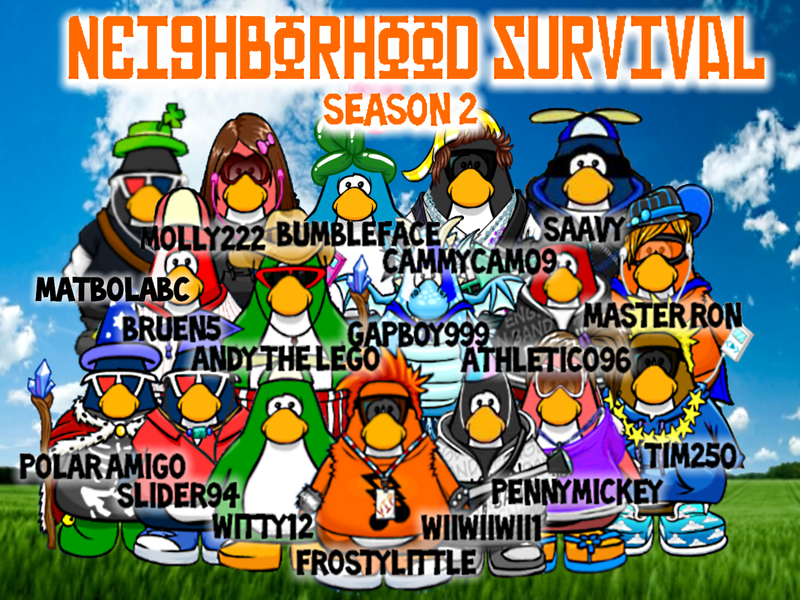 Molly222 won Neighborhood Survival last season, and she was in the top five. I promised the top 5 each a spot in this season, and they all accepted! (Minus Hedge, who couldn't be a contestant due to her busy schedule) Molly was also one of the "founding penguins" of Neighborhood Survival. Before we even played CP, as kids the founding penguins played pretend eviction games! Thanks for the friendly threat! You are surely still going to be a replacement for anyone who doesn't show up for a challenge. But remember, this can only happy in live challenges! Bata ba ba ba, I'm Lovin' iMovie! Hey its Tim! 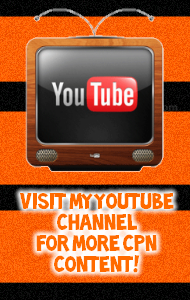 I just wanted to thank everyone who has voted for me on the CPN poll! It means a lot guys! Go team Tim! I haz oneeee :3:3 why didnt you choose matbolabc!!!!!!!!!!! xD penny, youre probably right! Hopefully your stalker doesnt get jealousssssssss. Other than that, looks good. Laterz. No, Tim doesn't have "hots for Penny"
EVERYONE is on there? 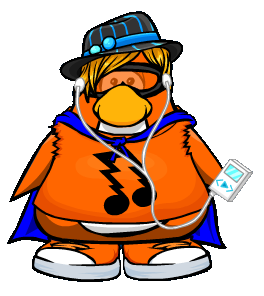 I can't find my penguin... I sent the link, the comment was published, and I still can't find myself. 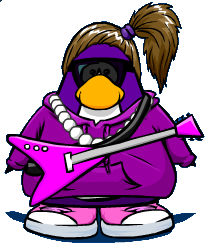 I'm not trying to be harsh, but I just want everyone that I participate in the small things like just giving a picture of my penguin. Lemon! Oh No... I'm really sorry to tell you this, but I cut you out of the season a while back. You never replied when I asked everyone to about 2 weeks ago, so I figured you weren't interested. I'm TERRIBLY sorry that this misunderstanding happened to you. Please don't be upset, and please keep visiting my blog! There are more opportunities down the road. Once again, I am so sorry! Cool idea! Fans are a big part of this blog, and I like to think of everyone who visits as a friendly community. I can't promise you that I will use your idea, but I will take it into consideration! Aww, I look so cute in this pic ;) ! It's OK. I try to reply as soon as possible, but I've been VERY busy around that time, soI I couldn't really go online much.